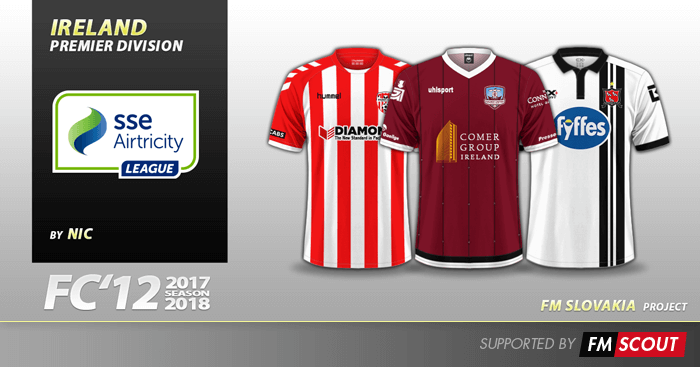 The real kits of Irish Premier Division clubs for the 2017/18 season in FC'12 style. Can be used with every FM since 2009. FC’12 style is a kit style project of FM Slovakia. This league pack contains 30 real kits; home, away and third for most clubs in this style. I look forward to adding his 19 version to my game. Thanks for the reply Patres10, are NIC the people who publish the club kits? If I download this for FM19 will all the teams from this version get the kits in-game?? I can wait for the FM19 version if it's on the way instead.